Chicago Shares are vouchers that can be used by homeless and needy people for food and necessities. Chicagoans purchase Chicago Shares, which are food vouchers, from our website or a local church. The purchaser shares the food vouchers with the homeless and hungry. The voucher recipients then use the vouchers to purchase food and personal care items from our local partners. These vouchers cannot be exchanged for alcohol or tobacco products. Watch WGN TV News' January 2019 story to learn about the program from our president and a local merchant who accepts Chicago Shares. Chicago Shares is non-profit organization that facilitates a food voucher program to help feed Chicagoans in need. Inspired by a similar voucher program in Berkeley, California, Chicago Shares was launched in January of 1993 at Holy Name Cathedral. Chicago Shares has always been a volunteer program, which means there is no paid staff. Our volunteers have been the key to the success and growth of this program. Additionally, the Chicago Shares program simply would not function without the participation of the vendors who accept our vouchers. Every year Chicagoans show great generosity and care for their hungry neighbors. Over the years, some $50,000 in vouchers are redeemed annually from our participating vendors. 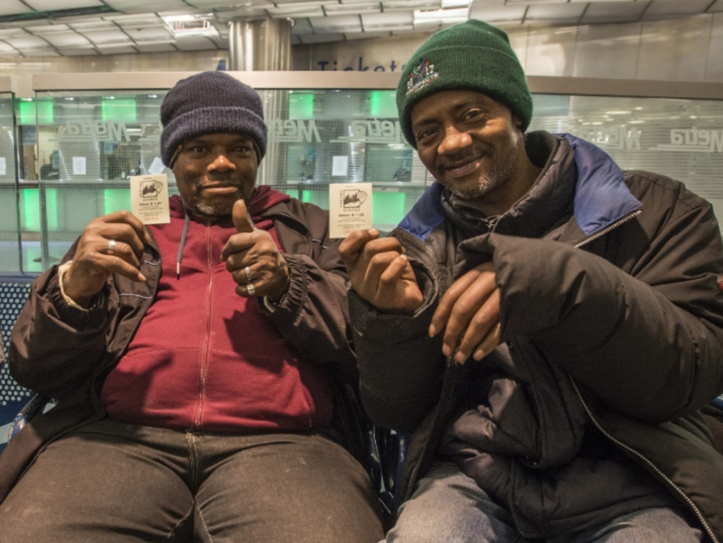 We take pride in contributing to the well-being of others by providing the Chicago community with a safe, respectful and easy alternative to help feed the needy.